Break into 2016 with live competitive painting! 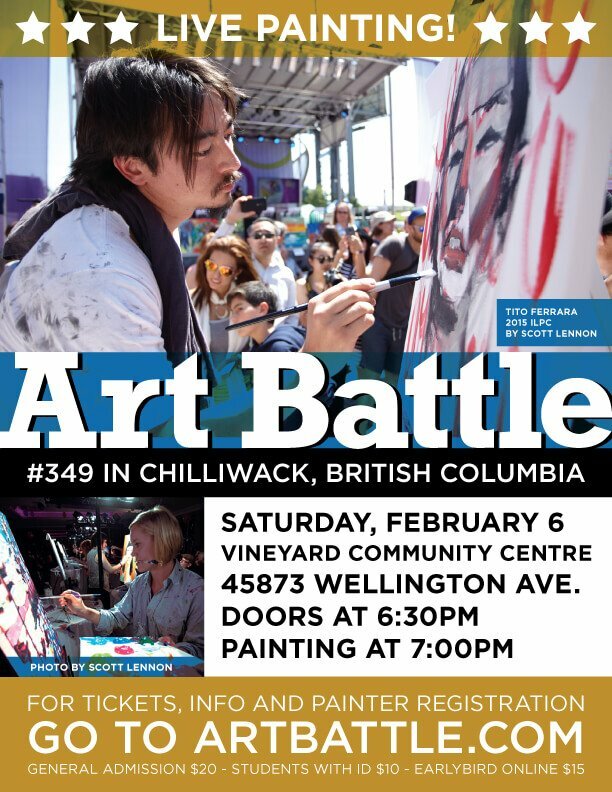 Art Battle is back in Chilliwack, presented by Moda Events at the Vineyard Community Centre on Saturday, February 6th. Featuring 12 local artists across 3 rounds, selected painters have 20 minutes to go from blank canvas to art glory! Silent auction of works created on the evening, live audience vote and more. Take advantage of Early-Bird discounts for a limited time.